IssueLab: Blue Moon Fund, Inc. The fund supports initiatives that work to build human and natural resilience to a changing and warming world. It uses natural, social, and financial capital to implement new models in high–diversity regions around the world. 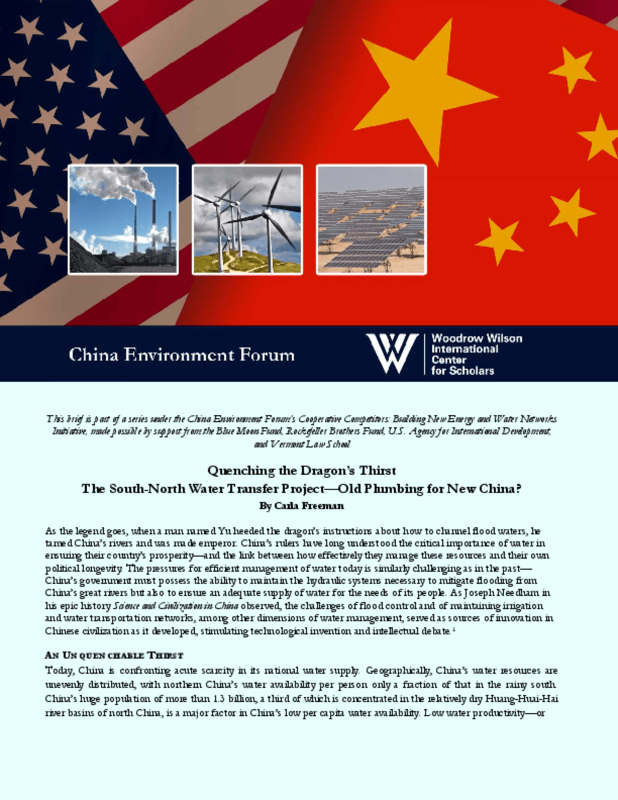 Quenching the Dragon's Thirst: The South-North Water Transfer Project -- Old Plumbing for New China?